Standing in front of the mirror for hours every morning deciding what you should wear is a waste of time. What’s worse, if you’re like most people, you end up just throwing on your pair of standby jeans more often than not. Levi’s encourages you to skip all that messing around with different looks and just go with the classic, timeless style you can always count on. 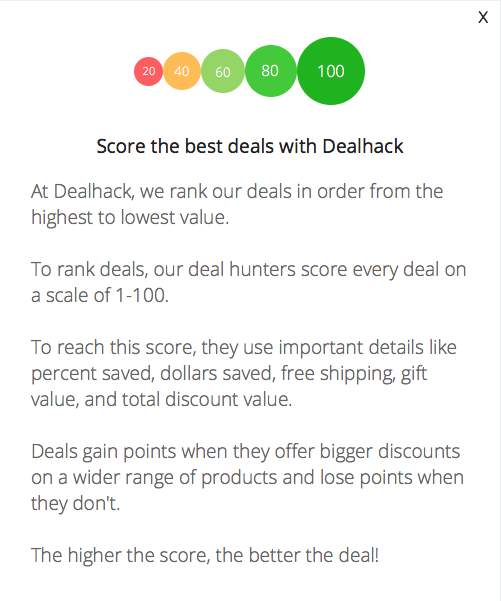 To give you some extra incentive, you can now use these Levi’s coupon codes from Dealhack to save money on every pair of jeans that you buy. Levi’s denim is famous around the world for its quality, durability, and style. Their jeans were initially manufactured for roughnecks hoping to make it rich in the California gold fields. Designing clothing for people that work hard all the time is still an ethos that’s very much alive at Levi’s. If you make your money in an office, you’re going to love that Levi’s also incorporates stylish designs into every one of their products. For a fraction of the price you will pay with other brand name designers, you can get a pair of Levi’s denim jeans that will fit your body perfectly and give you that combination of style and comfort that’s perfect for every occasion. Levi’s sells a lot more than just denim. Whether you’re a man or a woman looking for a great fit, you can shop from Levi’s entire selection of clothing styles. In their store, you’ll find wool pants and even chinos that are cut just as perfectly as their denim cousins. You can even get shorts and capris that are perfect for the summer. Don’t worry about casual looks either. Levi’s has a huge selection of boyfriend jeans that are perfect for grabbing a cup of coffee on the weekend or heading to a movie with friends. In addition to their huge collection of amazing pants and jeans, Levi’s walks the walk when it comes to helping you get a complete look from head to toe. They offer tons of different accessories that will help accent whatever you’ve got on. You can get items like underwear and socks, as well as wallets and bags to carry all of your essentials. When you consider the fact that you can get free shipping on all orders over $100, it’s a no-brainer to add a couple accessories to your denim order. Levi’s is the perfect place to shop for the entire famil. When you browse their website you can even find tons of great stuff for kids and babies. Every parent knows that shopping for the kids is always better when you can get something for yourself in the process. You can even shop in their sale section where you’ll get even bigger discounts on amazing products that have been reduced in price. Stay up to date with the latest fashions from Levi’s by following the brand on Facebook, Pinterest, YouTube, and Instagram. For any style questions, you can connect with a customer care rep at Levi’s by dialing 1-800-872-5384 or sending them an email. Sign up for Levi’s e-newsletter to enjoy 20% off and free shipping on your first order. With Levi’s live chat feature you can quickly speak with a fashion expert who can point you in the right direction. Want to try Levi’s on for size? Check out their retail store locator to find a location near you. It’s not all denim in Levi’s stores. Head over to their accessories department where you’ll find everything from belts and hats to scarves and bags. Everything is made with the same quality that Levi’s denim is known for worldwide. Shop in the sale section for significant savings. You can pay for your purchase using Levi’s PayPal feature. It’s a quick and easy way to pay for your order. What is Today’s Best Levi's Promo Code? The best Levi's promo code right now is ENJOY. This code is for '30% off Sitewide'. Copy it and enter it on the Levi's checkout page to use it. Levi’s offers free shipping on orders over $100. Levi’s apparel can be returned for a full refund for up to 60 days. Shipping and handling costs are non-refundable.